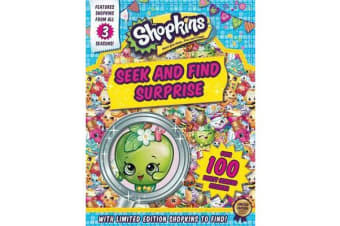 Readers will love to see their favorite grocery Shopkins in this second search and find book that comes with more than 100 fruity scented stickers! Features characters from Seasons 1-3. Shopkins is a top-selling toy property that features more than 300 cute grocery store characters to collect, trade, and swap. 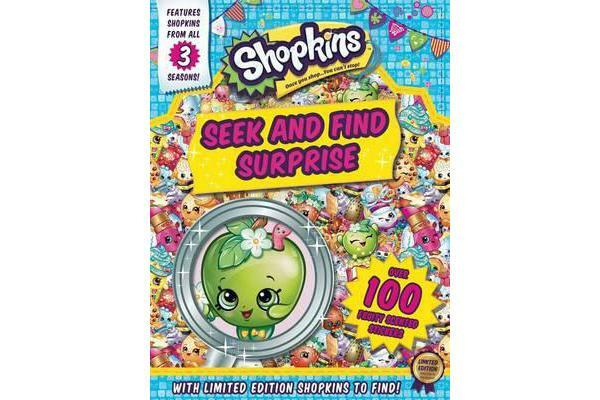 In this search and find book, kids will meet and play with the adorable Shopkins! Featuring the gang of collectible characters from seasons 1 to 3, this book is packed with colorful Shopville pictures to add stickers to and characters to search and find. Sticker the pages to create delicious scenes with more than 100 sweetly scented stickers!